Famous for its Ice and Snow Festival, the Heilongjiang Province in China is a cold region in the farthest northeast. It has a mixed culture that is largely influenced by the Russian lifestyle, customs, and traditions. The people speak a version of the Chinese Mandarin language called the Dongbei which is specific to the northeastern regions. Despite the freezing temperatures in winter, a maximum number of tourists visit the region specifically to witness the festival and to enjoy skiing. The topography of Heilongjiang Province is dominated by ranges like the Wanda Mountains, Greater Khingan Mountains, Zhangguangcai Mountains, Lesser Khingan Mountains, and Laoye Mountains. At a height of 1,690 meters above sea level, the highest peak is Mount Datudingzi. It is located along the southern borders between Heilongjiang and Jilin Provinces. The region shares a border with Inner Mongolia in the west. The Amur River forms the northern border between Heilongjiang Province and Russia, which is the northernmost tip of China. The picturesque Xingkai Lake (also called Khanka Lake) lies in this spectacularly beautiful region as well. The easternmost tip of China where the Ussuri and Amur Rivers meet also lies in the Heilongjiang Province. The central plains are flat and have many other rivers passing through them besides the Amur and Ussuri Rivers. They are the Naoli, Muling, Songhua, Nen, Mudan, etc. which are all tributaries of the Amur River. The subarctic and arctic climatic conditions in the Province are just right for winter sports activities. 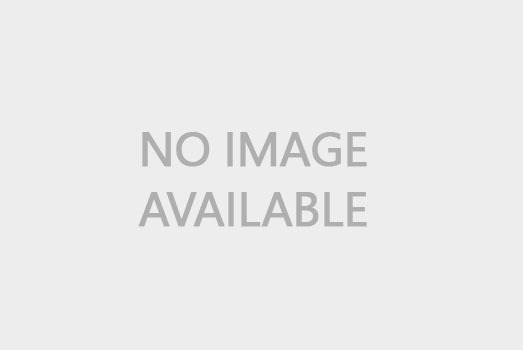 There are many ski slopes and resorts on the mountains that are popular tourist destinations. The summers are short and cool with temperatures ranging between 18oC and 23oC. The winters are long and freezing with temperatures fluctuating between -15oC and -31oC with occasional blizzards. Rainfall is limited and occurs in the summer season. Being the perfect trading gateway to Russia, over time the Heilongjiang Province has evolved into a beautiful mix of modern urban cities and tourist-friendly rural areas. Besides Harbin, the provincial capital, other major cities and towns are Acheng, Daqing, Heihe, Jiamusi, Jixi, Mohe, Mudanjiang, Qiqihar, Shuangyashan, Suifenhe, Yichun, etc. The region has rich resources of coal, fossil fuels, lumber, agricultural produce, etc. The mountains are abundant in minerals like graphite, marble, basalt, sillimanite, potassium feldspar, and others. Heilongjiang Province’s main agricultural produce consists of wheat, potato, soybean, rice, corn, beetroot, tobacco, flax, etc. There are nearly 65 million hectares of lush grasslands in the central plains where animal husbandry is carried out on a large scale. The Songnen Plains in the Province are considered one of the largest sheep-rearing pastures in China. The major industries are agro and food processing, energy, pharmaceuticals, forestry and timber processing, machinery and equipment manufacturing, petrochemicals, mining, raw material processing, mining equipment, nuclear power plants, heavy machinery, aircraft, helicopters, freight trains, automobiles and spare parts, precision bearings, machine tools, large harvesters, Information Technology, etc. Many of the urban areas have evolved over time due to the job opportunities provided by the various industries. The ski resorts and ice sculpture festival have drawn a lot of tourists in recent years during the winter season. This has resulted in the development of a well-organized tourism and hospitality industry in the Province. The majority of Heilongjiang's 38 million population is Han Chinese, while other ethnic minorities include the Manchus, Koreans, Mongols, Hui, Xibe, and Hezhen. Some of the people follow Taoism, Machu shamanism, or folk religious practices depending on their ethnicity. But Chinese Buddhism and Tibetan have a dominant presence in the Province. 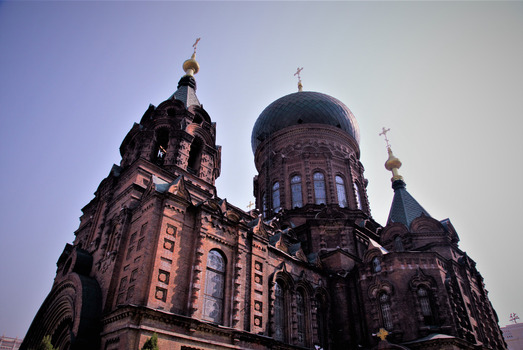 Unlike the rest of the Province, the provincial capital Harbin also has several Eastern Orthodox, Protestant, and Roman Catholic churches as well as Jewish synagogues. Its Zhongyang Street is a 1.4Kms long street filled with 19th-century European structures that have Byzantine or Baroque facades. There are several Fresh fashion businesses, Russian bakeries, as well as American and Japanese specialty restaurants. The art of making ice sculptures is one of the most unique art forms in Heilongjiang Province. The Harbin Ice & Snow World has more than 2,000 ice sculptures on display during their annual winter festival. Harbin is also well-known for its symphony orchestra and the Harbin Summer Music Festival is also a great attraction for Jewish population and tourists. The Harbin Taiping International Airport, the second largest airport in northeastern China, is ably supported by 8 feeder airports. These are connected to all the provincial capitals of China as well as major cities in the Province itself. The railway system is highly advanced and connects the Province not only with other parts of China but also with Russia and North Korea. The expressways and interconnecting roads have a 99% coverage rate of the Province, hence even the far-off tourist attractions are easily reachable. The Songhua River, Heilongjiang River, and Wusuli River provide a well-organized water transport network as well. Some of the popular tourist attractions and activities of the Province include the Buddhist Temple of Heavenly Bliss, Siberian Tiger Preserve, Zhaolin Park (ice sculptures in January), Heilongjiang Provincial Museum, Wofoshan Ski Resort, Yabuli Ski Resort, Heilongjiang River Cruise and viewing of Aurora Borealis (Northern Lights), Beer Festival (August), etc. There are also large scenic areas that provide a glimpse of the rich ecosystem in the region. The Mirror Lake of Jingpohu National Forest Park, the natural spa at the Wudalianchi National Forest Park, bird-watching in the Zhalong National Nature Reserve, the unusual rock formations near Wudalianchi Lakes, Diaoshuilou Falls and volcanic rocks, etc. are some of the popular sites. The food in Heilongjiang Province is influenced largely by the freezing climatic conditions that preserved ingredients and healthy portions. The cuisine is a pleasant mix of Chinese and Manchu styles with a little Russian influence as well. The staples used in their cooking are wheat, fish, and vegetables. Different Russian-style bread are also a part of their daily diet. The Amur River is the only river in the world where subtropical fish like the snakehead and Siberian arctic fish like pike are found in the same waters. So surprisingly they use more fish in their cuisine in Heilongjiang compared to any other parts of China. The famous dishes are roasted Chinese salmon, crystal sugar and snow clams, stewed spareribs and potatoes, Imperial white meat and blood sausages, Nurhachi Golden Meat, green onions with Liaoning sea cucumbers, etc.